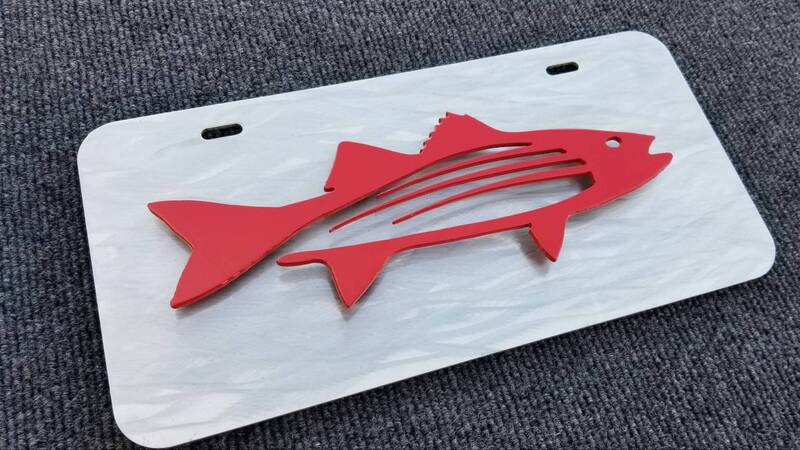 This Striper front license plate is an awesome addition to add a bit of cool to your ride! 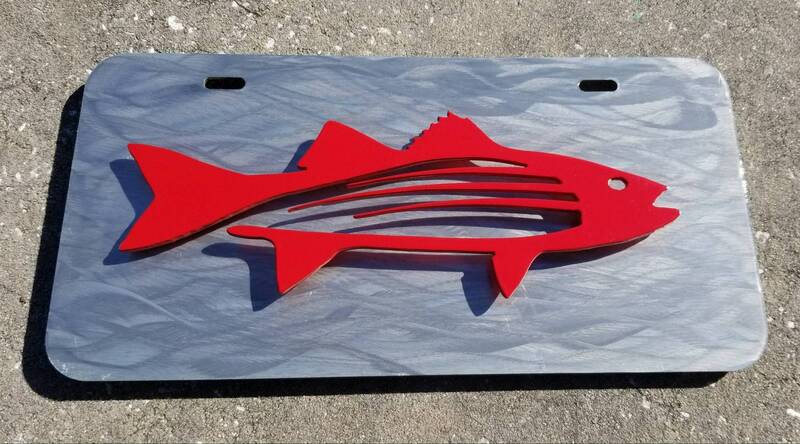 Crafted here in Port Orange Florida, using tools that were made in the USA and cut from US steel and aluminum...this plate is built to last! 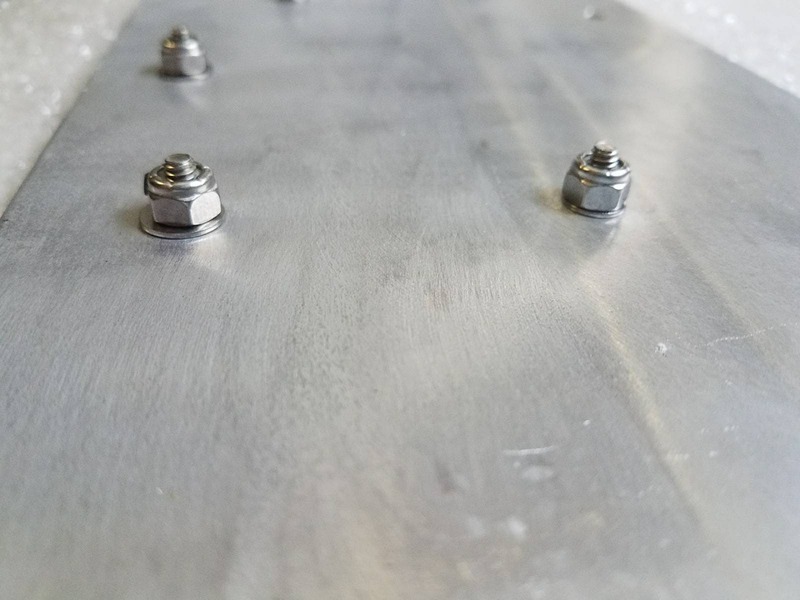 Aluminum plate forms the base, 11g steel for the fish outline, and stainless fasteners to bolt it together. After the pieces are cutout each one is powder coated then fastened together with studs and nylock nuts to reveal an awesome piece. We don't use tape or adhesives as they simply will not hold up to the elements and everyday use. Note - these will come with spacers pre-installed. If you wish the outline to sit flat against the plate, please specify before ordering. Multiple colors and configurations are available. Please inquire about your color choice before purchase. We offer patina finishing, matte, gloss, texture, copper, bronze....you name it we can do it. Black is the default color, inquire BEFORE ordering if you want a custom color. 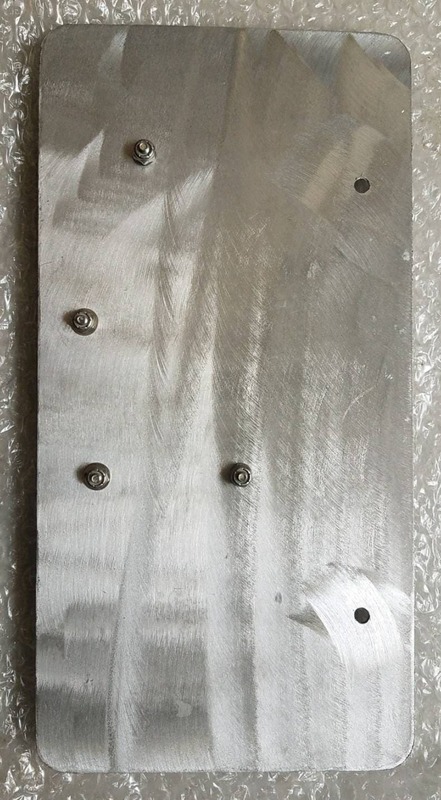 Small relief area may need to be trimmed into your plate mount as fasteners do protrude from the back of plate. Please see photos. Thanks for taking the time to check out what we do here at Seaside Metal Design!